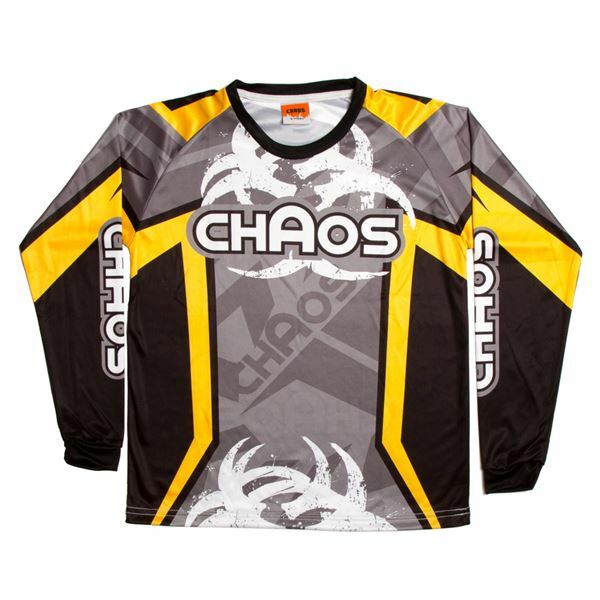 Introducing the new range of Chaos Clothing. 100% Polyester 140gsm. Quick Dry jacquard. Oeco-tex 100 certified by Hohenstein Institute. Lightweight, breathable and very tough material. 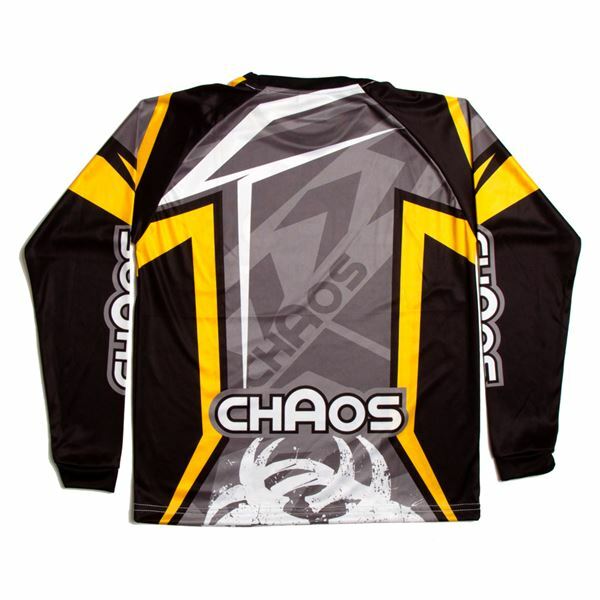 Chaos clothing have created a cool, but subtle design. Backing up the new awesome design, the build quality is exceptional. Wear and tear in the Off Road world is certainly not a problem! Get your kit and ride! 100% polyester Machine and hand washable, so you can keep wearing this shirt again and again through the season. 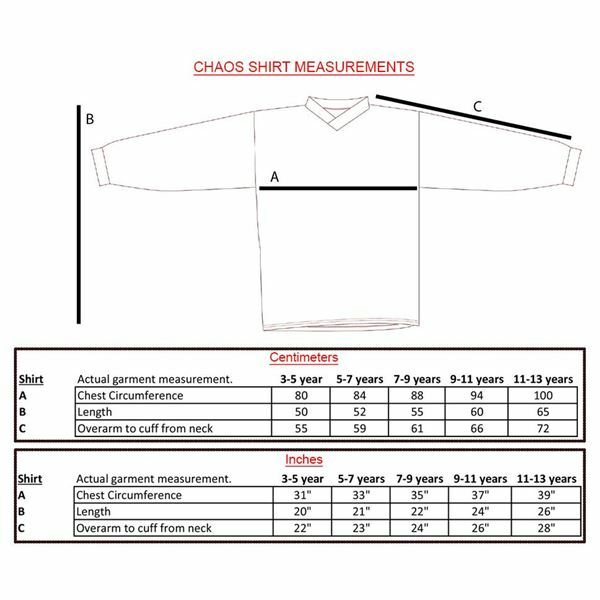 The collar and sleeves are elasticated and sweat absorbing.